Enmetric’s electrical outlet-level energy tracking system can now be integrated with Lucid’s Building Dashboard, enabling employees to understand how their behavior affects energy consumption so they can take steps to reduce energy usage. Combining plug-load monitoring, management, and behavior change is already proving compelling for major companies. Google will soon begin a pilot in its Mountain View HQ. By empowering individual occupants to take ownership and control of their devices, especially during nights and weekends, we can take a huge bite out of a building’s overall energy consumption. Lucid, pioneer provider of cloud-based energy information management software and real-time energy feedback technology for buildings, announced its partnership with Enmetric Systems to bring plug-load monitoring to commercial buildings. The combination of Lucid’s Building Dashboard® technology and Enmetric’s plug-load management system opens the door to personal accountability for energy usage, giving occupants real-time feedback on their energy consumption, as well as providing control and scheduling tools. Enmetric’s innovative plug-load management system provides a practical solution for managing electrical devices and appliances in offices. The Enmetric 4-channel PowerPort provides high-resolution measurement and control capabilities on each outlet and is designed and tested for large-scale deployments in commercial buildings. 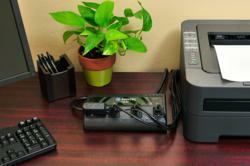 The system features plug-and-play simplicity, with no need for system integrators or electricians. 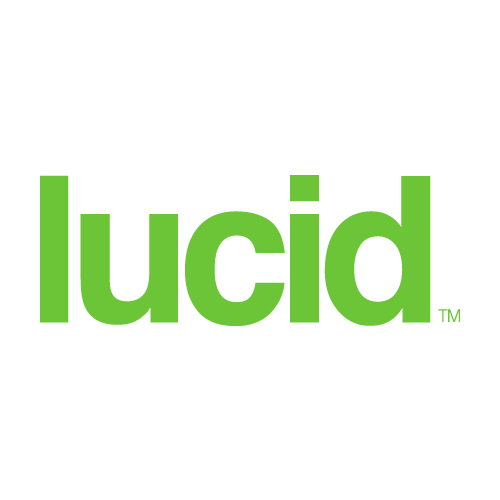 Lucid now resells the PowerPort to its network of customers and bundles it with its Building Dashboard technology. Lucid has pioneered the use of competitions to let groups compete to dramatically reduce energy consumption with simple changes of behavior. Enmetric’s technology for plug-load monitoring and control technology makes it easy for building managers and sustainability leaders to deploy energy-saving competitions among individuals. Combining plug-load monitoring, management, and behavior change is already proving compelling for major companies. Google Inc. will soon begin a pilot in its Mountain View office, combining energy monitoring, display and employee engagement. During the pilot, Google will focus on reducing the energy consumed by shared equipment and workstations, at night and on weekends. By combining behavior change with energy controls, Google hopes to see significant savings in electricity, helping them to further their broader energy-efficiency and carbon-reduction goals. Enmetric Systems Inc. has pioneered a unique and complete plug-load energy management platform enabling users to monitor and control electrical usage of individual devices in offices, campuses and other commercial and institutional buildings. The Enmetric Enterprise Plug-load Manager combines real-time information feedback, device-level control, and dynamic demand response to enable commercial and institutional users to reduce their consumption of electricity on a sustained basis. In time-of-use pricing environments, Enmetric Plug-load Manager leads to even greater savings by providing enhanced options for load shedding and load shifting. Visit http://www.enmetric.com. Founded in 2004, Lucid is a privately held cleantech software company and a pioneer in providing real-time information feedback to make building performance visible and actionable, inspire behavior change, and save energy and water resources in buildings. Over the past eight years, Lucid's team has made resource use transparent, accessible, and engaging so that building occupants, facility managers and building owners have the data visualization and communication tools to manage and reduce their consumption. Today, hundreds of thousands of people live and work in schools, companies, and organizations enhanced by Lucid's award-winning Building Dashboard® technology. Visit http://www.luciddesigngroup.com, or follow @LucidDG on Twitter. Lucid is the pioneer provider of real-time energy information systems for commercial buildings. Enmetric Systems Inc. has pioneered a unique and complete plug-load energy management platform.